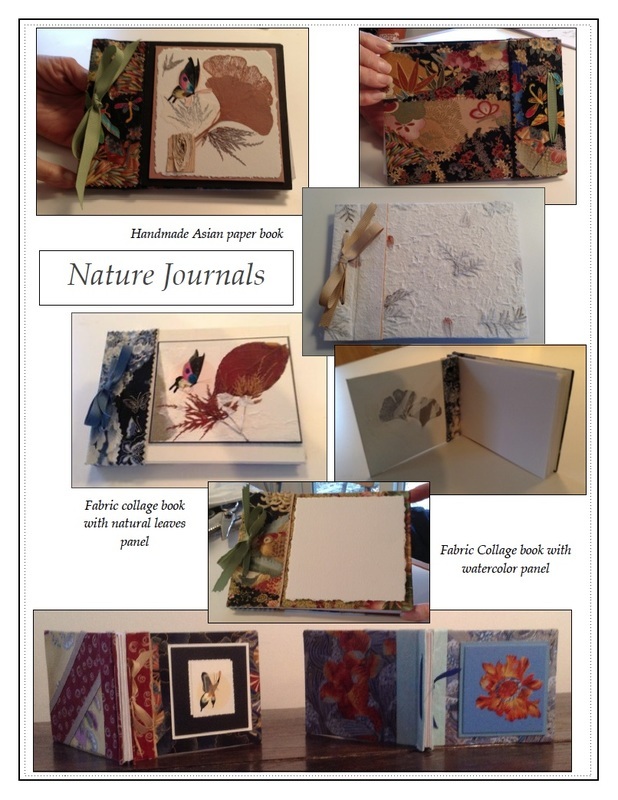 "Nature Journal" workshops usually run from 9:30/10:00—3:30/4:00, with a lunch break. Timing is flexible. Maximum participants for gallery studio is three. 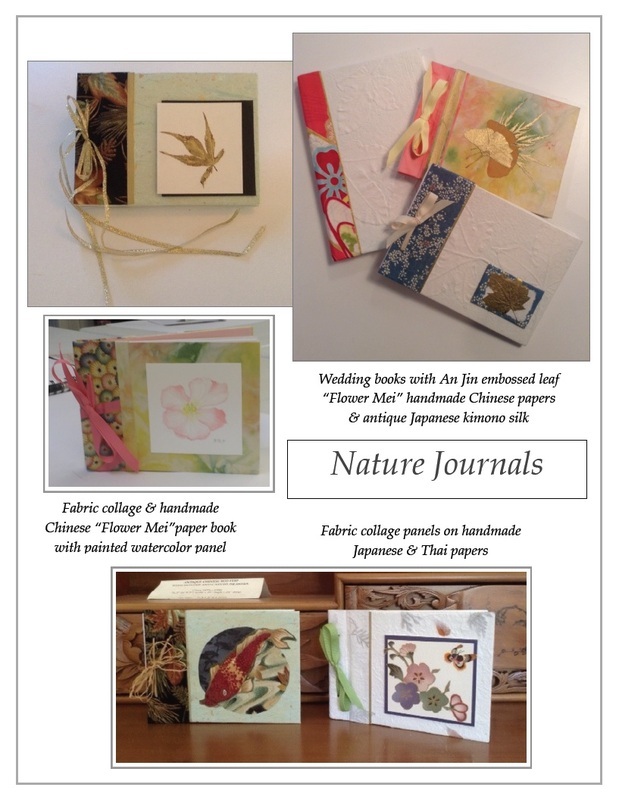 These charming little books and notepad holders are fun and easy to make. unique gifts for weddings, showers and friends. A new two-day workshop for a larger, "Mino," 8.25" x 11.25" size book is available. or any type of special use when a larger format is desired.. The book opens flat and can be easily taken apart to edit or add more pages. 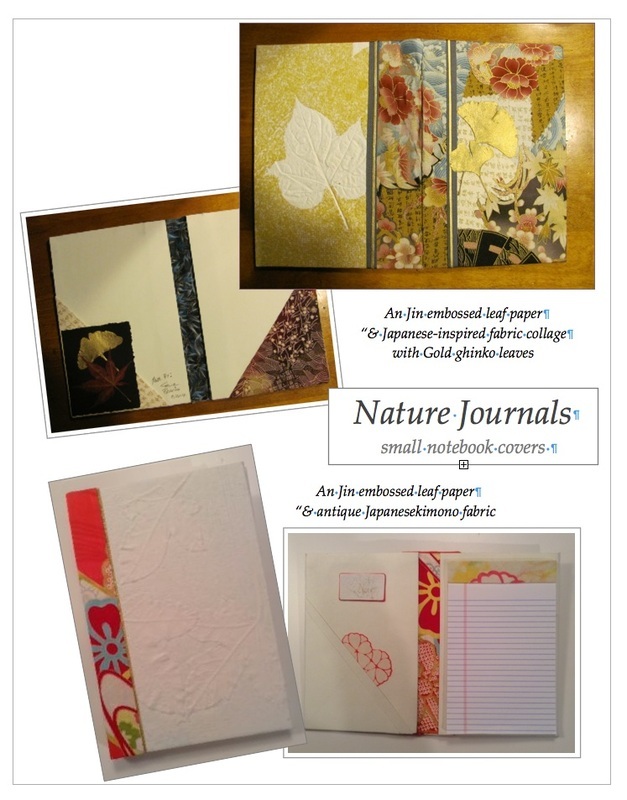 Create a "Nature Journal" using beautiful hand-made Asian papers, a unique form of Japanese fabric collage, ​botanicals or even pieces of your own artwork or mementos. Examples of a larger "Mino" size "Nature Journal"